Who: Filed by Robinson B. Gourley, Sarasota, FL. Patent Abstract: Peroxides and chlorine dioxide (compounds) can be stabilized for long periods of time (years) by combining the compounds with water that has been infused with dioxytetrahydride gas. Such stabilized materials can be used to infuse soft, solid substances that can be used as sterile wipes, wound dressings, or the like. The U.S. Government issued our first patent that supports the WIT Technology used by AquaNew to produce Watt-Ahh bottled water. AquaNew holds the exclusive worldwide license to manufacture Dioxytetrahydride Gas-infused water for all consumable products except for medical products and services. The WIT Technology Licensor still holds those medical licensing rights. Our first product, Watt-Ahh an AquaNew Water, that we introduced on the market over eleven years ago, is 100% ultra-pure polarized water (no additives). Indeed, the polarized water tastes great and is refreshing. Since beverages are at least 80% water, substituting with the Polarized Water will deliver a healthier drink (less sugar and other additives) with an outstanding flavor palate (e.g., better tasting coffee and tea) and a longer shelf life (e.g., fruit-infused drinks with no added preservatives). The water gas described in the patent as Dioxytetrahydride Gas, is infused into ultra-pure water to create the stable liquid crystal of Watt-Ahh. The patented novelty of the Dioxytetrahydride Gas-infused water is it stabilizes compounds, including peroxides and chlorides, for years. 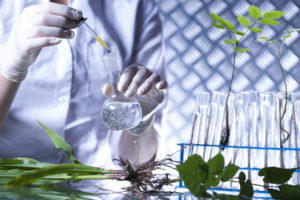 Additionally, the gas-treated water will emulsify oils and stabilize alcohols including compounds extracted from plants. The WIT Technology Licensor issues use licenses to other businesses manufacturing their own products. One of these licensed companies manufactures wound care products. Since the beginning of 2019, AquaNew has supplied over 3,600 gallons of the Dioxytetrahydride Gas-infused water for this company’s product production. The applications for the WIT Technology are endless. As viable examples, technology use licenses will be issued to other companies manufacturing eye solutions, cooling towers, sanitizers, “greener” cleansers and even nano-dosage delivery systems that are more complementary in treating ailments of the human body. Generally, the federal government encourages formulations with the lowest concentration of active ingredients to achieve the beneficial effect (e.g., pain relief) with the least risk of adverse secondary effects. The polarized water is a benign and effective carrying agent of compounds. WIT recently signed a due diligence agreement to initiate research on the stabilization and optimum lowest dosage of compounds extracted from hemp plants added into the polarized water. If any company is interested in more information on licensing the WIT Technology to improve products and services, please contact Rob Gourley at 1-888-936-2782.